UFC 207, which is scheduled for December 30 in glimmering Las Vegas, Nevada, is starting to look like an excellent card. 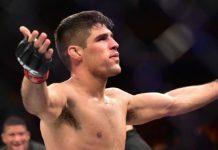 On Tuesday, it was announced that Matt Brown will take on the talented Tarec Saffiedine at the event in an awesome welterweight showdown. Now, UFC 207 has grown by two more welterweight showdowns, and from the early vantage point, both look like they’ll be extremely entertaining. 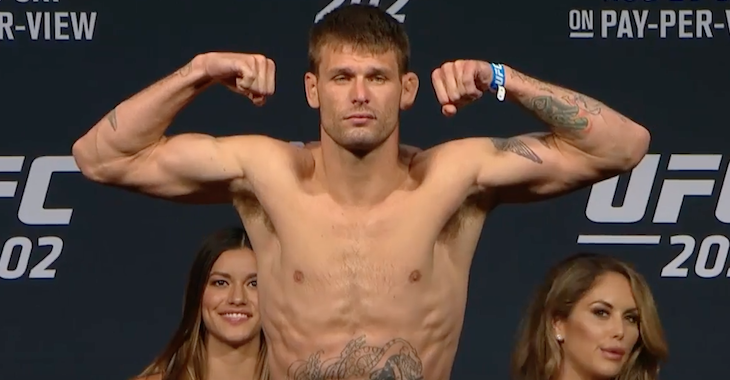 The first of these bouts will pit rangy Muay Thai specialist Tim “The Dirty Bird” Means (26-7-1) against talented Brazilian Alex “Cowboy” Oliveira (15-4-1). Means will enter the bout with two-straight wins behind him. The first of these wins occured in December of 2015, when he levelled John Howard with second-round punches. The second and more recent of these wins saw Means take out an out-matched Sabah Homasi at UFC 202 in August. 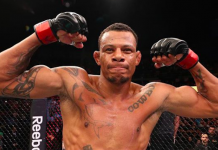 Oliveira, meanwhile, will step onto the canvas with Means having recently scored a third-round KO win over former Bellator lightweight champion Will Brooks. 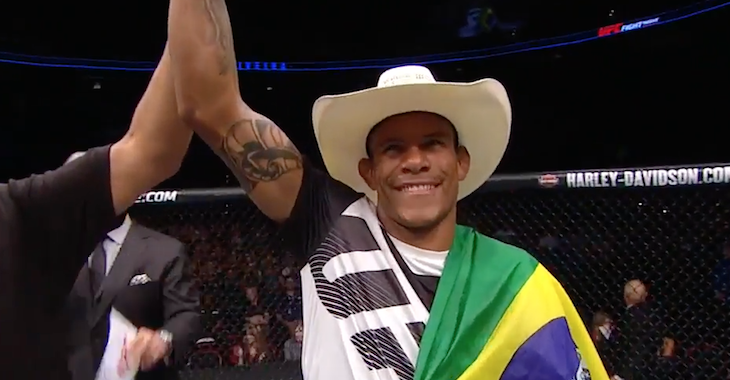 While this victory was marred by Oliveira’s massive weigh-in miss and post-fight taunts of Brooks, it was undoubtedly the biggest win of his career. Prior to this victory, he scored a dominant decision win over James Moontasri. 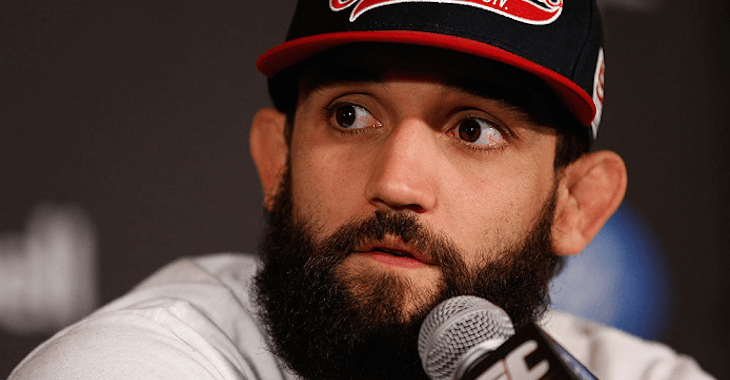 The other welterweight bout that has been tacked onto the UFC 207 lineup will pit former champion Johny Hendricks (17-5) with The Ultimate Fighter season 16 standout Neil Magny (18-5). Both men will enter the cage with tough losses in the rear-view mirror. When we last saw Hendricks, he was outgunned by current contender Kelvin Gastelum at UFC 200. Prior to that defeat, the former champ experienced the first stoppage loss of his career, succumbing to first-round strikes from Stephen Thompson. And while he scored nice decision win over Matt Brown in the fight before these losses, the fight before that was a decision loss to Robbie Lawler. With a tough 1-3 record in his last 4, it goes without saying that Hendricks needs a win badly at UFC 207. 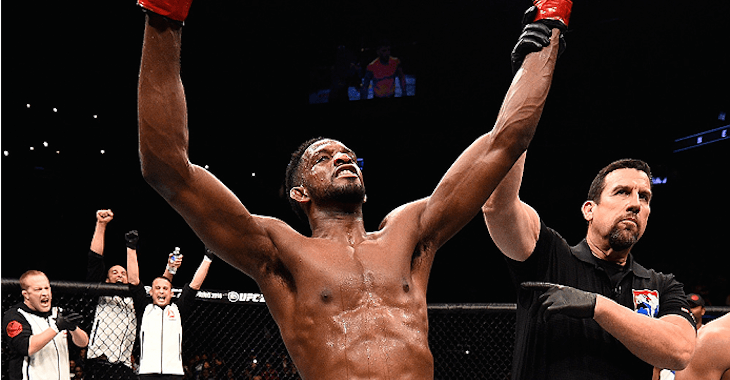 While Magny’s situation is a little less dire, he too will enter the bout on the heels of a tough loss. 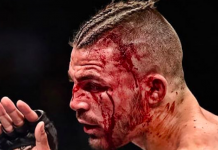 When we last saw him, he was shut off by first round punches from the rising Lorenz Larkin. Prior to that loss, Magny scored the biggest win of his career, weathering an early storm to put former Bellator champ Hector Lombard away with third-round punches. He’ll look to score a similarly impressive win over Hendricks in December. Though UFC 207 is far from a finished product, it’s starting to look like a dynamite card. The main event will see former bantamweight queen Ronda Rousey return after more than a year on the shelf to take on new champion Amanda Nunes. 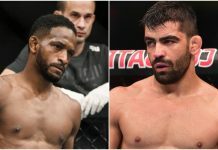 The card is also expected to feature a heavyweight rematch between former champions Cain Velasquez and Fabricio Werdum. 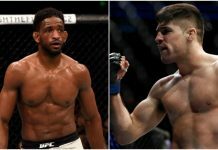 Who do you think wins these newly announced welterweight showdowns? Sound off, PENN nation!